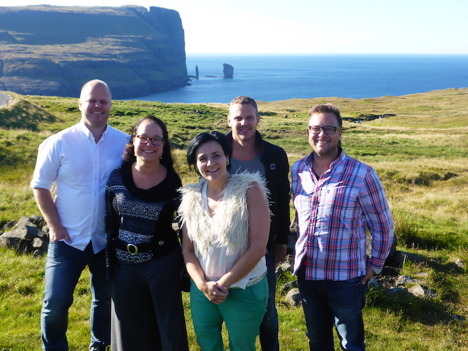 Two weeks ago, I went to the Faroe Islands together with my musicians. A fantastic trip to an exciting and beautiful country. The first time I visited the Faroe Islands was when I was in the music program at the senior high school. 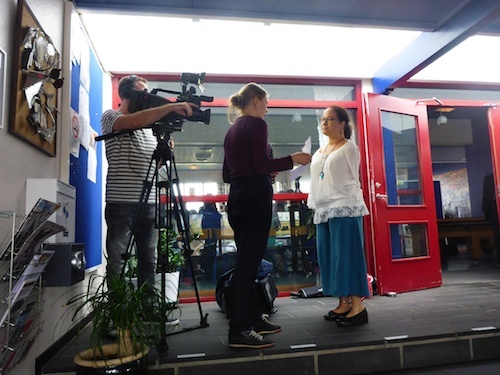 Some of us went to a conference and held a concert for music teachers from the different scandinavian countries. The second time was the following year when the Swedish Swimteam for Disabled flew in a Hercules aircraft to the Farao Islands and participated in the Nordic Championships. On the day we were going home, the weather was terribly bad and no regular plane got off the ground. But since we flew the Hercules, there were other rules for us so we flew home. It jumped and bounced tremendously but we got home! The third time to visit the Islands was in 2009, a tour with my musicians. And now we had the great joy to come back again. The sky was clear blue and we approached and landed on Vagar airport in a wonderful weather. Quite unusual in this barren and often rainy and windy country. 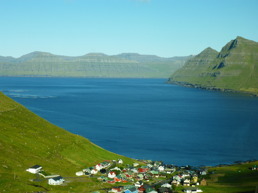 The Faroe Islands consist of 18 islands that is connected by long tunnels or bridges. They have a very different and exciting landscape. But the most distinctive I think, is the people. Everyone we met was so nice and hospitable. Approximately 50,000 people live here scattered in the different communities. After checking in at the hotel we went to Christianskirke "the Christian Church" in Klaksvik and got a tour in there by the woodcarver Mr. Sjúrði Solstein. The church itself has a very interesting story, but most fascinating was the exhibition in the basement, "Jesus úr (= from) Nazareth," which held 10 wooden sculptures by Mr. Edward Fuglø, one of the Faroe Islands' great artists. Sjúrði showed pictures and talked about each painting and its symbologies and how he helped Edward manufacture these huge fine artwork. During the tour we performed and met students in different senior highschools. The students were amazing and I was so impressed of how focused and interested they were when I spoke and told them about my life. Such fine young people! Then it was time for the concert that we held in Løkshøll. 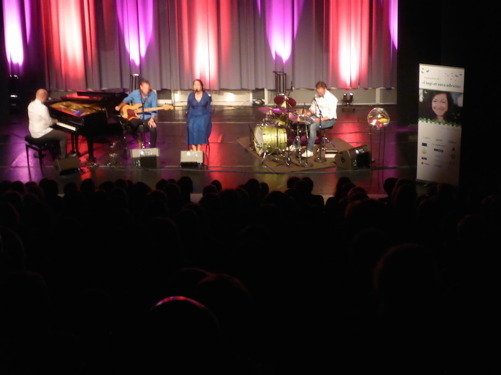 It was sold out and the evening was really lovely and fun. Although it might not have been that easy for everyone to understand my Swedish, it was a great atmosphere and lots of laughter. In the morning, the same day as we flew home, we visited another senior high school: the Commercial School on the Faroe Islands. All students didn't fit in the audatorium so we did our program twice. The tour was really fun and Tora við Keldu who arranged everything had planned it very well for us. We would love to come back! 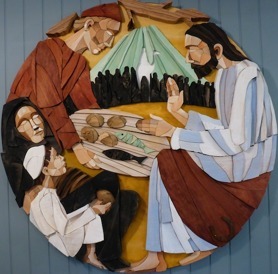 Are there any replicas of the woodcarvings in the Christian Church in Klaksvik that I can purchase?